Today I am sharing another card using the So in Love suite and also the little hand made gift that I sent to my January customers. Every customer that shopped with me in January or attended one of my ateliers received a hand made easel style calendar that fits into a standard sized card envelope, but also stands up on your desk. To ensure that it displays perfectly I used one of the beautiful Falling in Love embellishments. 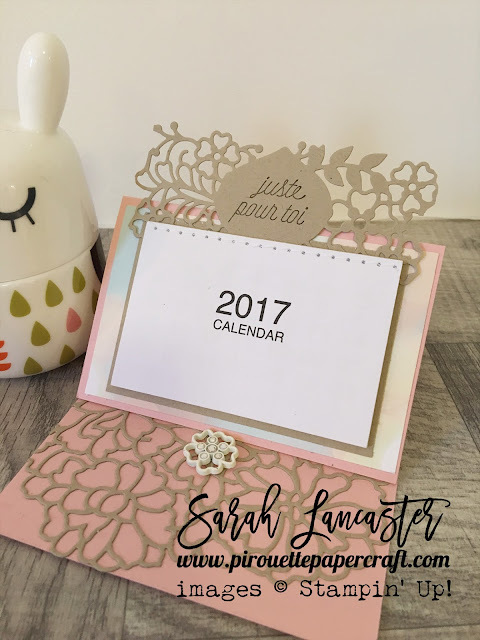 I also used the delicate dies to frame the calendar. 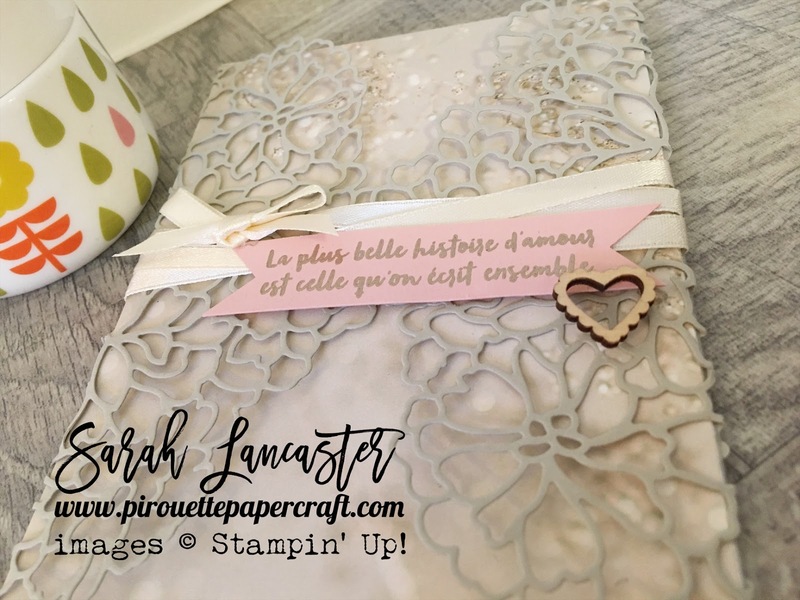 My atelier attendees loved this little touch of class (and the chocolate that was included !). 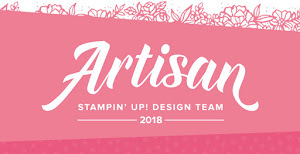 My online customers should be receiving theirs too along with the extra gifts for using my monthly Hostess Code. I am also sharing a card today that uses the So in Love suite but a sentiment from the Oh So Succulent stamp set, which I felt fitted perfectly. 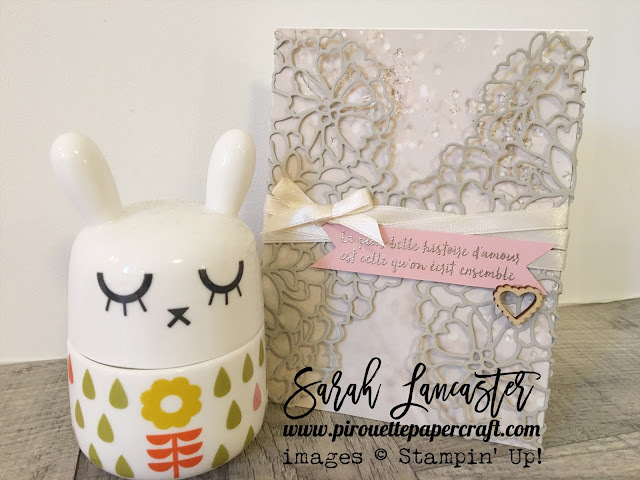 This card is constructed like the card I showed on Tuesday but this time I used the Falling in Love DSP behind the die cuts and added a little wooden embellishment from the Sending Love suite. Thanks for joining me today. 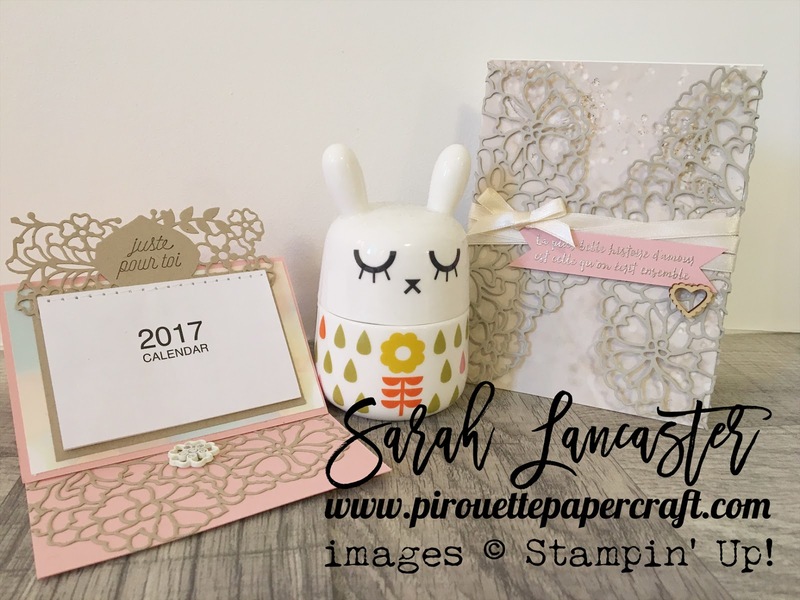 If you'd like to order the So In Love bundle then please pop over to my Stampin' Up! online store. During the current promotion of Sale a Bration you can choose a free gift for every 60€/£45 you spend.